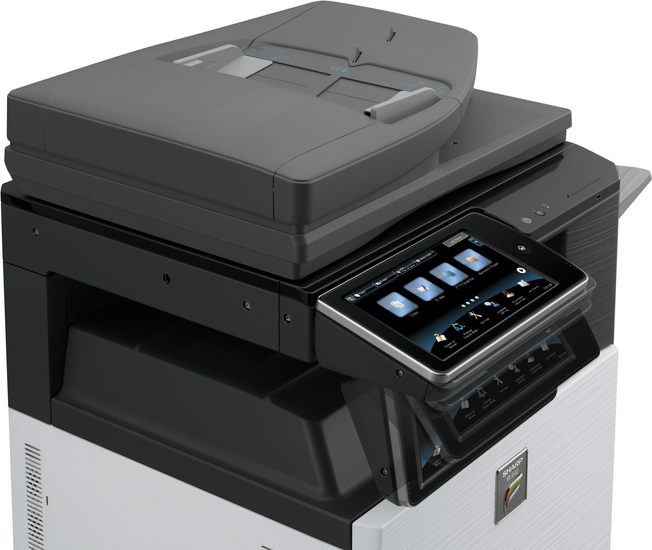 The new MX-3640N – is an advanced multi platform MFP for demanding IT environments. 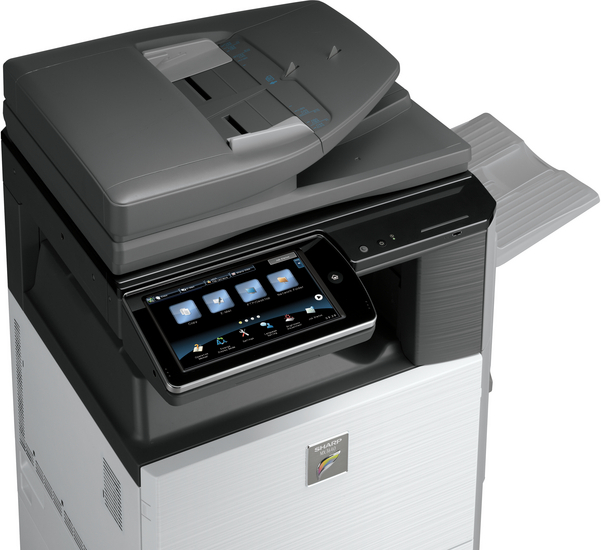 With Sharp OSA as standard this MFP seamlessly integrates with Cloud applications and connects to every major network environment. 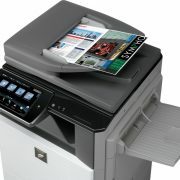 You can add full internet access for browsing and printing out web content plus the standard wireless LAN adaptor enables connection to wireless networks. There is also a handy Remote Access Control facility that lets support staff perform configuration, troubleshooting and ad hoc training across the network. 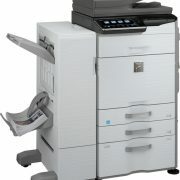 In other words, you get the power, versatility and convenience that every modern office needs. 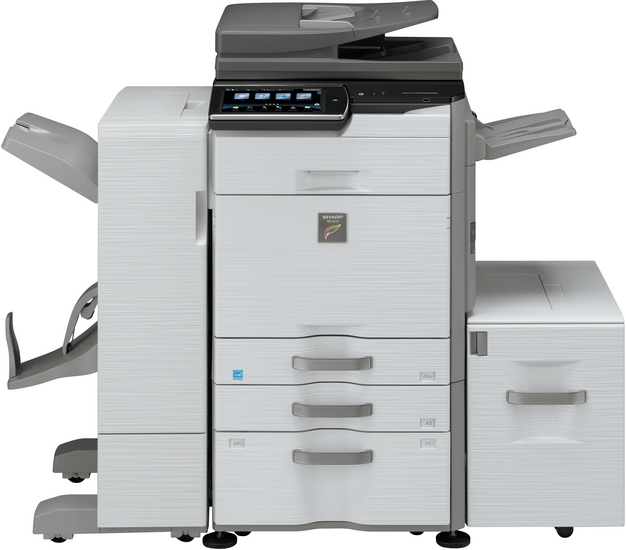 The 36ppm MX-3640N produces top quality colour at full speed and comes with two-sided printing, copying, scanning and robust security as standard. 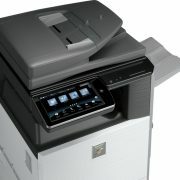 The 10.1″ colour LCD multi-touch screen, optional integrated retractable keyboard and the tilting LCD panel have been designed with ease of use in mind. 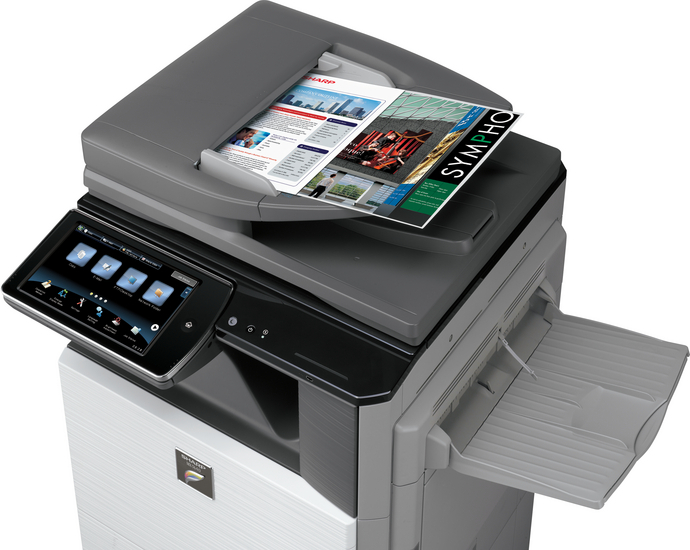 You can also add a wide range of options to raise productivity across the office; choose a space-saving inner finisher with electronic sorting and offset stacking, or a saddle-finisher for easy, professional-looking documents. 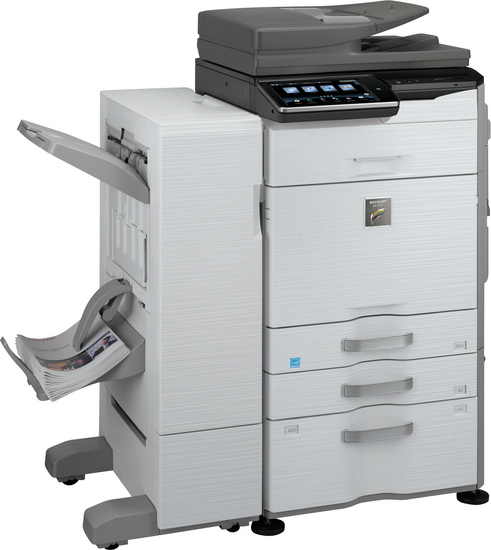 Add fax functionality, extra security, expandable paper capacity to 6,600 sheets with the tandem large capacity drawer and third party applications for automating manual office tasks. 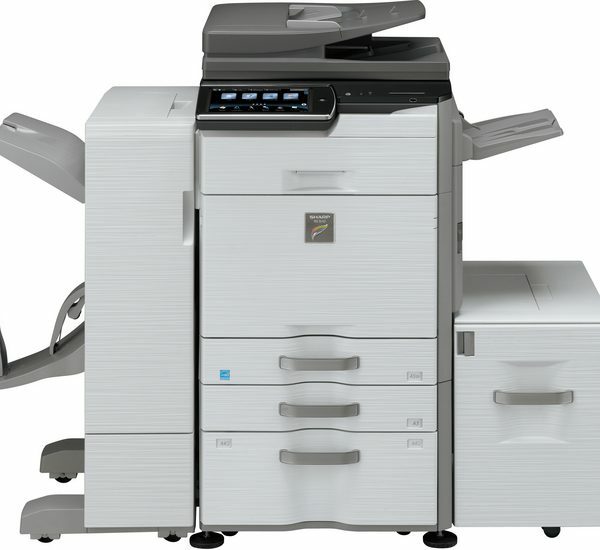 The Energy Star-certified MX-3640N uses Sharp’s latest energy-saving technology. 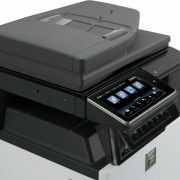 A rapid warm up time, an efficient LED scanner, self-adjusting and pre-set auto shut down capabilities and a special Eco Recommendation function and Eco Scan Mode that all aim to save money and support your environmental objectives.